How is 3D printing used in Engineering? Engineering the next generation of technology means you have to take advantage of the latest technology of today. 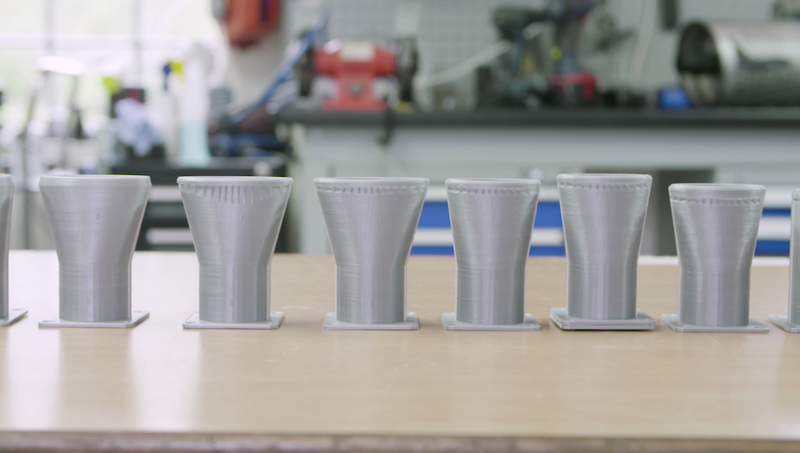 3D printing allows engineers to test and evaluate their designs quickly, and affordably. Traditional methods often do not allow the freedom to create complex internal structures and geometries that 3D printers can handle with ease. 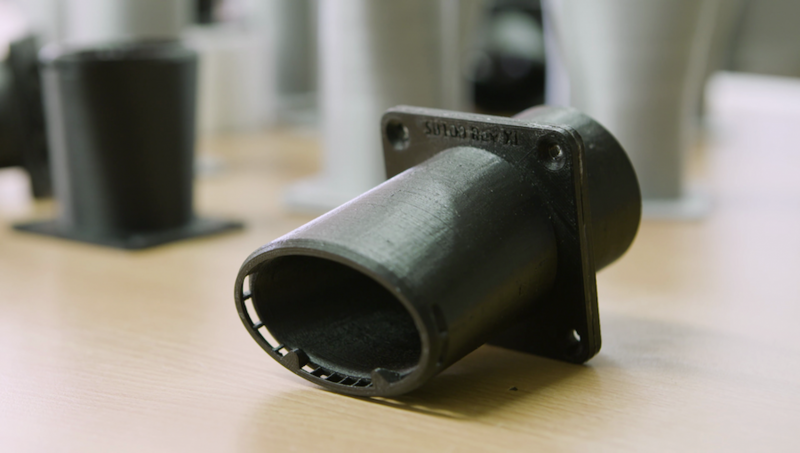 Learn how Snow Business is utilizing Ultimaker 3D printers for prototypeing, functional testing, and final parts for their high-value snow machines that are used in the TV and film industry. "What I really needed was a technology that I could use myself, on-site, that would be able to do what I needed it to do. That's when we bought our first Ultimaker"
ABB Robotics is a world leader in their field. 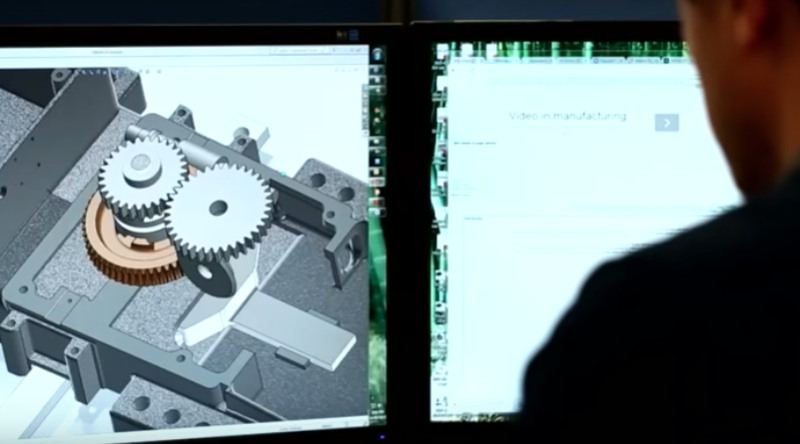 Learn how they are leveraging the latest technology to stay one step ahead of the competition in developing new components for their robots. "Compared to the traditional aluminium fingers, which were very costly and took about 5 weeks for each iteration, the 3D printed designs cost almost nothing and took about an hour to create." 3D printing allows users to produce new iterations of their designs in-house at a fraction of the cost of using third party vendors. What used to take months can now be done in a matter of days. A great example of this is how Siemens has been working with Ultimaker desktop 3D printers in their Rail Automation department. At first the printers were used only to assist in prototyping new components and products, but the real break through came once they realised they could be used as part of the manufacturing process. This has completely changed their workflow. 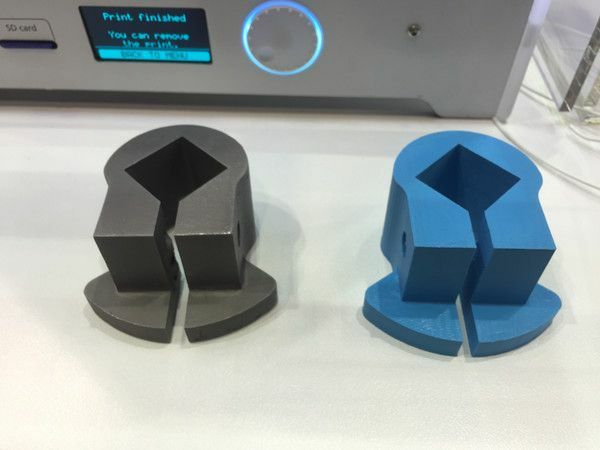 Now they can start with a low cost and lightweight plastic component 3D printed on their Ultimaker and end up with a final product which is cast in 316 grade stainless steel. This process would have traditionally taken the team 12 to 16 weeks to go from initial concept to final component, but by using their 3D printers that time is cut down to just 1 to 2 weeks. "Traditionally it would take 12 to 16 weeks to go from a model to a final component, but by using an Ultimaker 3D printer that time has been reduced to just 1 to 2 weeks." Having the freedom to create complex shapes and geometries is crucial for many industries. Desktop 3D printers, particularily those that allow you to print with dissolvable support materials like the Ultimaker 3, do just that. 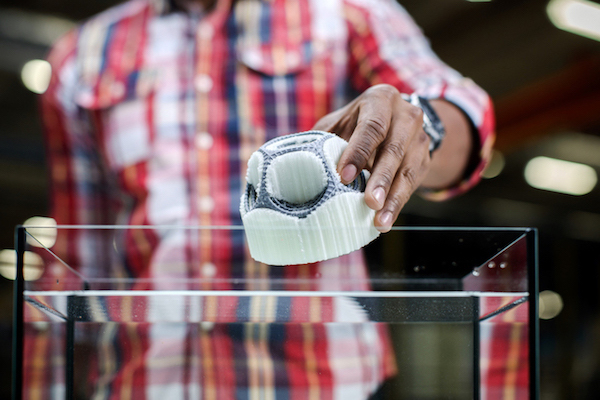 These printers use a material called PVA to open up a whole new world of possibilities. PVA is ideal for printing complex models that require supports for large overhangs, deep internal cavities, and intricate geometries. PVA dissolves in water leaving you with only your original model in shapes previous not possible for 3D printers. 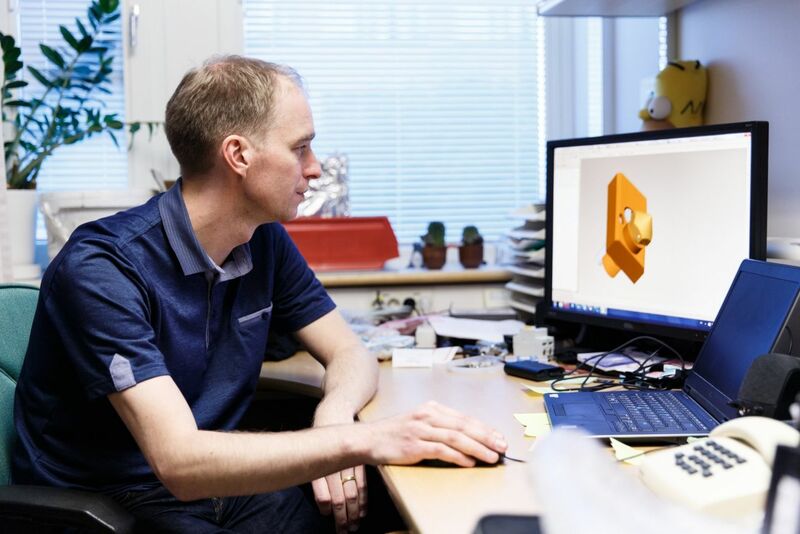 Another great example of how desktop 3D printers are being used in engineering is the case of Snow Business, a wolrd leader of in snow and winter effects. The company develops snow machines that are used in the film and TV industry as well as on Christmas fairs and other live events. They use their Ultimaker 3D printers for prototyping, functional testing, and creating final parts for the snow machines. In-house 3D printing significantly speeds up their iterative design process and yields considerable cost savings along the way. The company works with many large production companies. The truth is chances are the snow you see in a movie was made from Snow Business and their past productions include 007: James Bond, Kingsmen, Bridget Jone's Diary and many more. Paul Denney is Head of Research at Snow Business and is responsible for designing the falling snow machines. Most of the focus of R&D goes out to the machine's nozzle, which is where the machine mixes air with fluid to create the snow effect. The nozzles of their machines have a fairly complex air and fluid geometry, which makes it extremelly difficult to cast them. Therefore, the only way to create new nozzles is by 3D printing according to Paul Denny who is Head of Research at Snow Business. These new nozzles are developed using an iterative process of printing, test fitting, adjusting, and repeat which can take many revisions before arriving at a design that matches the high-quality standards the company set. Paul got started with an Ultimaker 2+ for prototyping and producing the final new nozzles for their snow machines. Compared to outsourcing, he can now print new parts in a matter of hours in-house at a very low cost. These Ultimaker desktop 3D printers turned out to be a much morse cost and time effective solution for the company in the long run. Paul estimates the first printer they bought for the company effectively paid for itself within just 2 weeks. The engineering industry is primed to be revolutionized thanks to 3D printing. There is no better time to get your firm started with a new 3D printer.